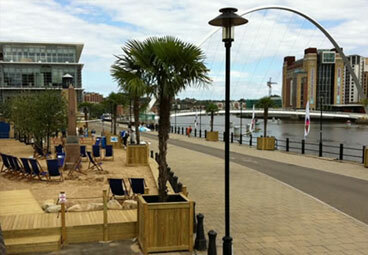 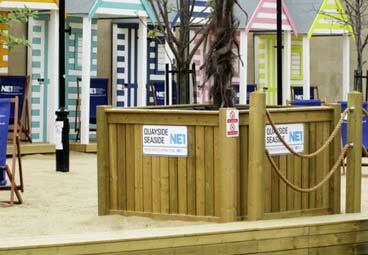 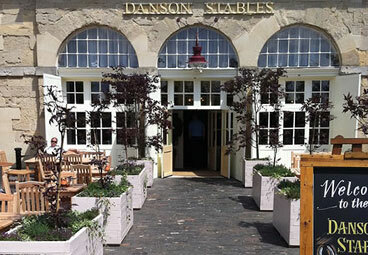 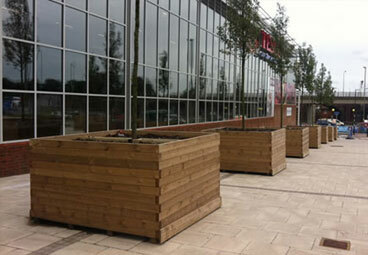 We provide businesses with high quality commercial planters, custom made to any specification. 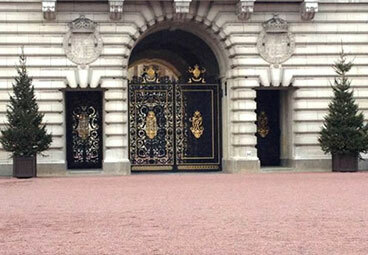 Taylor Made Planters are experienced in the landscaping sector; we’ve worked with councils, schools, restaurants and architects around the UK, and have even produced custom tree planters for Her Majesty at Buckingham Palace. 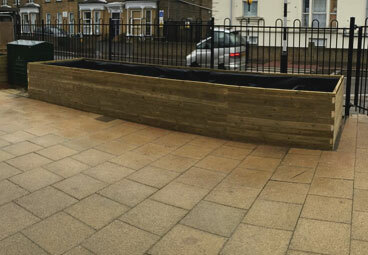 Take a look at some of our commercial work below and discuss your project with us today. 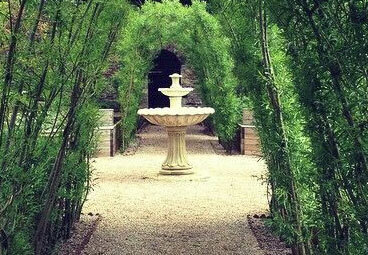 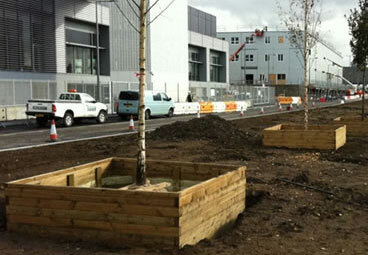 Through expert craftsmanship, we provide innovative solutions for large planting on landscaping projects of all sizes. 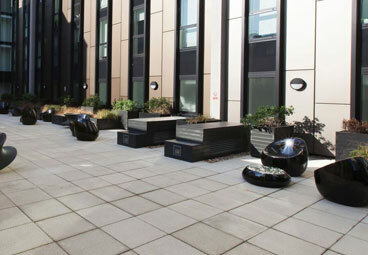 Our large commercial planters and custom street furniture is built in a variety of quality materials so that they’re long lasting and fit for purpose. 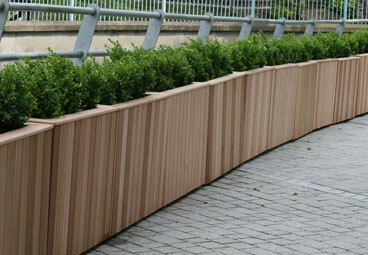 We specialise in timber planters but also offer a fantastic range of contemporary materials including composite, fibreglass and steel. 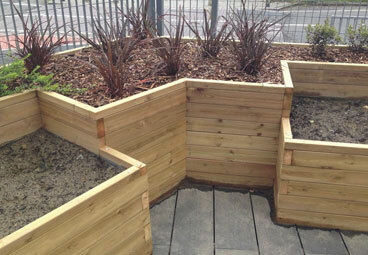 Our service is highly professional and fully bespoke, so whatever you need we can deliver. 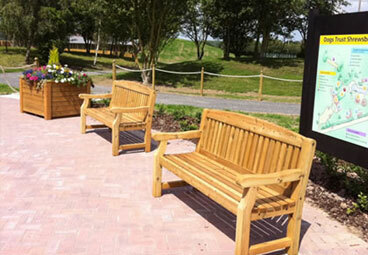 Benches, restaurant planters, barrier containers, large tree planters and much more. 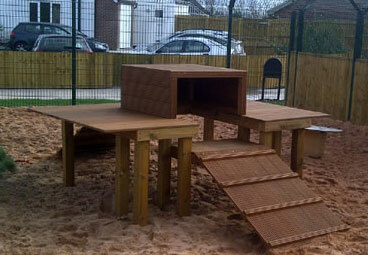 No project is too big or small, so email us today for a free quote. 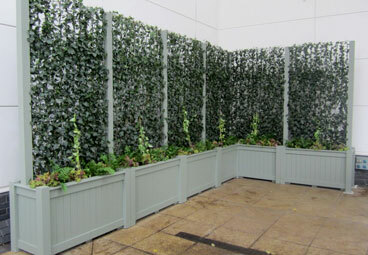 Or give us a call on 02476 559 416 to discuss your project further.